Whether you’re fixing up your current starter-home or renovating a new property to sell, buying and flipping homes is a smart way to increase property value and generate income. But without a solid plan and budget, you might fall into a money pit. We’re here to help make buying a fixer upper as smooth as possible. We spoke to a Cleveland home renovation and planning expert – Steve Lorenz, Executive Director of Kamm’s Corners Development Corporation – to find the most valuable upgrades to a home and what it takes to flip properties the right way. First, What Is House Flipping? Flipping houses is a popular real estate investment strategy that involves purchasing a property, modernizing it and selling it for a profit. 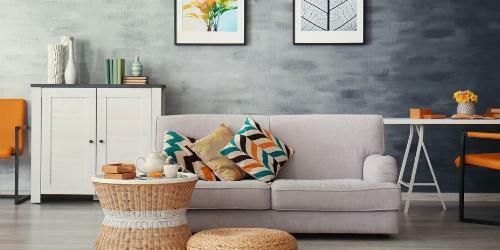 Most homebuyers are looking to purchase a move-in ready home. House flippers improve properties to the point where they meet buyer demand. Keep in mind, renovating a home goes beyond making an income – house flippers have the potential to make a big impact on the neighborhood. Wondering if flipping houses is worth it? Let’s go over how to buy a fixer upper. How Much Money Does It Cost to Flip a House? The most important step to home flipping is establishing a budget. Along with the purchase price of the property, you’ll also need to factor in the rehabbing costs. According to Lorenz, houses his team purchases in the Cleveland area typically cost a few thousand dollars. Then, they spend $75,000 to $100,000 to transform the property. Of course, this total number can range drastically depending on the current condition of the home, your region and the state of the market. 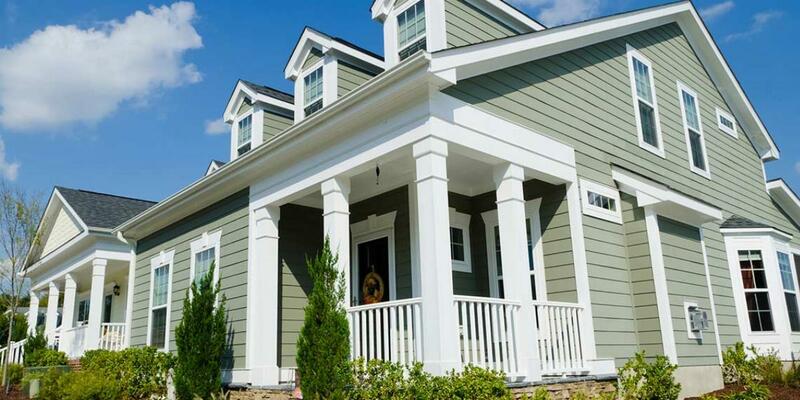 A home in need of simple cosmetic fixes can considerably improve your return on investment, while extensive work like a new roof or complete gut jobs can sky-rocket your expenses. Kitchen and bathroom renovations are very common projects that house flippers tackle – we’ll cover those in a bit. What Is the After-Repair Value? The ARV is the sum of the home’s sale price plus the total cost of repairs. To start budgeting, check out similar homes in the area. Research how much comparable properties sold for. This will give you a good estimate of your home’s value once repairs are completed and the best price to bid on a property. Keep in mind that you’ll also want to factor in a little wiggle room for unexpected repairs, advertising and other costs. “We always have a 15 percent contingency on our projects. We’ve figured out over the years that we typically use about 10 percent of that. We always know that there will be stuff that comes up, so we’re ready for it,” Lorenz said. Finding a fixer upper home is the first major hurdle. To find the right property for you, do your research on the history of the home and surrounding property values. Depending on your budget, you might be looking for a cosmetic fixer – a home that is structurally sound, but just needs a makeover. From bad smells to outdated décor, some properties only need a little TLC to attract new buyers. If you have more money in your budget devoted to renovation costs, you may be able to tackle larger projects like roof replacement or a new furnace and duct work. In either case, make sure to hire an experienced home inspector. Their insight can help to keep you from getting in over your head with unexpected repair costs, like foundation troubles or asbestos removal. After you find a fixer upper that fits your budget, set a realistic timeline for repairs. You don’t want to rush through the jobs, because that can compromise the overall quality of your home. And keep in mind, prospective buyers can find the closing date and sale price of your property in public records. A quick turnover at a much higher rate can deter well-researched buyers. Time to get to work! Next, you’ll need to decide which repairs the home needs and how these projects will factor into your budget. Focus on the improvements that add the most value to a home and prioritize those. This plan may include a combination of cosmetic, moderate and extensive repairs. To plan which projects to tackle, you may want to consult with reputable contractors, realtors and interior designers in your area. Get rid of wood paneling or paint over it. Install new doors and hardware. Replace light fixtures with energy-efficient models. Tear out old carpet in family rooms and bedrooms. Replace basement windows with glass block. Patch and paint walls throughout the home. Not sure if you should tackle these renovations yourself or hire a professional? Check out our guide: Which Home Improvement Projects Can You DIY? The kitchen is a major selling point. Modern appliances, neutral color palettes and an open-concept are popular kitchen trends many buyers are looking for. 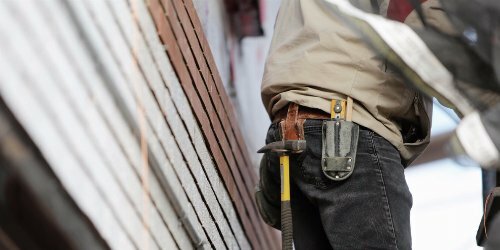 To save money on renovation costs, some house flippers choose to tackle demolition work themselves, then hire a contractor for installation. Here are some kitchen renovation projects to add to your list. Get rid of old appliances. Install new cabinets or paint them. Rip out linoleum flooring that is peeling or outdated. Put in a new range hood. Ready to pick up the sledgehammer? Let us walk you through how to demolish a kitchen top to bottom. After the kitchen, the bathroom is the next biggest attention-getter. While bathroom remodeling costs can add up quick – especially if you rearrange plumbing – it is possible to get it done on a budget. Add these items to your fix and repair checklist to flip your home fast. Get rid of outdated tile. Install a new sink and vanity. Freshen up caulk and grout. Convert your tub into a walk-in shower. If you’re DIYing this step too, bookmark our complete guide for demoing your bathroom from top to bottom. After completing all of these renovations, you’ll have a turn-key home that will not only sell quickly, but help to increase the property value of other homes on the street. After you’ve finished the dirty work, it’s time to stage the home to sell. Hiring a qualified realtor is generally the best way to market your home. Aside from handling paperwork and showings, a successful agent can network within the industry and negotiate offers to find the best buyers at the best price. And if you plan to flip more properties, it’s great to build a relationship for future listings. Renovating an entire home is a big project – but we hope these house flipping tips help you to take it one step at a time. We rent dumpsters to people flipping homes all the time – even on TV. We worked with Bravo’s Buying It Blind to help six couples buy and flip the home of their dreams. We’d be happy to help you out too with a free quote. Looking for more DIY tips and tricks? Check out the For the Home section of our blog for more inspiration.